The NOCALL Government Relations Committee (GRC), formed in 1991, monitors and informs NOCALL members about legislative, judicial, and regulatory developments that might affect NOCALL, the practice of law librarianship, or the dissemination of public information. In consultation with the NOCALL Executive Board and in coordination with the Government Relations Committee of the American Association of Law Libraries, the GRC represents the views of the NOCALL membership to state and federal elected officials through letters, meetings, and testimony. The GRC provides legislative advocacy training and resources to interested NOCALL members through workshops, newsletters and the NOCALL Web page; occasionally, the GRC may call upon these members to assist with advocating a position on “urgent” pending legislation. 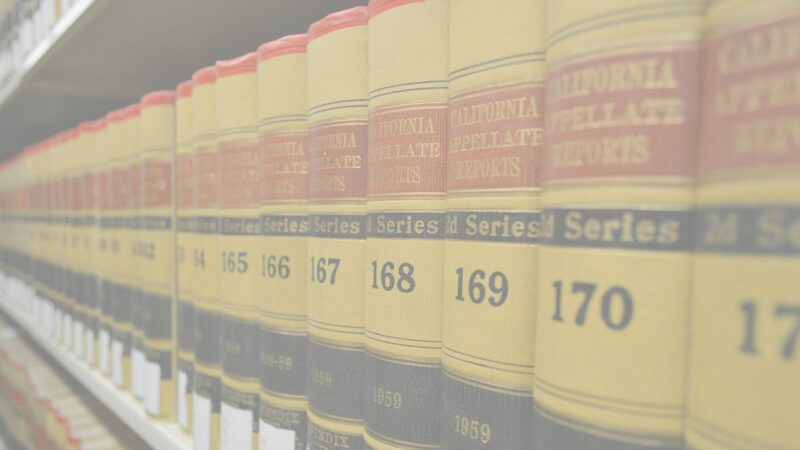 The GRC coordinates lobbying efforts with four California library associations: the Council of California County Law Librarians, the Southern California Association of Law Libraries, the San Diego Area Law Libraries, and the Legislative Committee of the California Library Association. Legislative Alerts will occasionally appear on the NOCALL web site or on the NOCALL discussion list. 1. Monitor legislation / issues. 2. Report on same to NOCALL members via newsletter column. 3. Act as resource / communications link to NOCALL members. 4. Advocate / represent NOCALL members before elected officials. 5. Liaison with other professional groups / parent body. 6. Individual Officers’ duties / record keeping. The NOCALL GRC shall monitor all federal and state legislative, regulatory and judicial development that would affect NOCALL the practice of law librarianship, or the dissemination of information. For those matters which the Committee deem sufficiently important, it shall inform the membership about the issue through the newsletter or other means. The Committee shall coordinate efforts to communicate NOCALL views on information policy issues, and these will be consistent with AALL Government Relations Policy Statement as applicable to the NOCALL Chapter. The Committee may, on its own initiative, communicate NOCALL views to appropriate governmental bodies and other interest groups and shall keep the Executive Board informed of all such efforts. The Committee shall also keep the AALL GRC informed of such efforts as appropriate. The Chair of NOCALL’s GRC shall be the official liaison to the AALL GRC. 1. There are various levels of response to an issue of concern by NOCALL GRC members. Fifth Level: Where response is urgent, as a committee which expresses the collective concerns of a local chapter and has the specific support of the Executive Board of NOCALL to act on a given issue with informal, expedited Board approval. 2. Levels three, four, and five will require a distinct committee procedure; these procedures are hereby articulated by the committee. 3. These procedures are approved by the Board. 4. The committee is responsible for determining which level of response / procedure is appropriate for a given issue, and for responding on that level. Step 1. Identify issue and potential response. Any NOCALL member can suggest issues to c committee member to which the committee might/should respond. That committee member and the chair decide how to disseminate relevant information about the issue to the committee members, and what level of response from the committee might be appropriate. Step 2. Establish committee consensus on response. Any committee member can suggest a higher or lower level of response to the issue than that proposed by the chair. After such suggestion, the committee as a whole discusses its merits via a meeting or telephone conference depending upon the urgency of the response, and agrees upon the level of response. Step 3. Articulate committee position. Once the level of response is agreed upon, the issue is discussed by the committee for purposes of establishing its position(s) on the issue. Again, where urgent, the committee position may be determined via telephone conference. Step 4. For Level Three response – communicate committee position to NOCALL members. Where the committee assigns the third level of response, the committee position is shared with the members at large (through newsletter, network, etc.). The committee may recommend action: the Board is advised by memo of committee intent to recommend action to membership. The committee position is reflected in committee minutes (copy to Board). Step 4. For Level Four response – communiqué on behalf of chapter. Level Four requires a written response (letter to legislator, agency, GRC of another professional organization, etc.) that articulated the committee’s position on the issue and recommends a particular action. The chair solicits one or two committee members to draft a response for the committee, and suggests a time-frame within which the response should be written. The chair notifies the Board of the committee’s intent to respond and the points discussed during the committee meeting / phone conference that are to be included in the response. The draft is submitted to the chair and other committee members for review and approval, and then the final draft is submitted to the Board for its approval. The chair and the drafters of the response are responsible for forwarding the approved written response to the intended recipients (legislator, organization, etc.). The chair shall notify, by written response, the AALL GRC, as official liaison. Step 4. For Level Four response – urgent communiqué on behalf of chapter. In cases where a written response needs to be expedited (Level Five), Level Four procedures are followed, but Executive Board approval is given by the Board liaison. A copy of the written response is forwarded to the President. The chair shall notify, by written response, the AALL GRC, as official liaison.